Cyrsti's Condo: Don't Believe all That you See! Don't Believe all That you See! Over the past week or so here in Cyrsti's Condo, we have covered an amazing amount of ground. From Chelsea Manning's senate run, to dressing for success as a 40 plus aged woman with Deborah Boland. And, speaking of looks and your feminine presentation, I have always preached to the choir here about the need for preparation, before you can even begin to think about about putting your best transgender foot forward in public. "Actresses Jacqueline Bisset and Jaclyn Smith were my idols. Years later, I mentioned this to a Hollywood makeup artist who was giving me a makeover at a trans convention and he said that I had a better complexion than one of my idols, who he had worked with! So, you never know!" 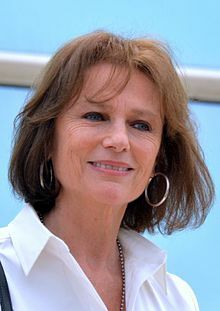 I always have loved Jacqueline Bisset's voice, as well as her looks. Stana also mentioned she has had problems posting comments to the blog. If it happens to you, you can email me at cyrstih@yahoo,com. Please just tell me if you dont want the comment posted!